We all have at least one old gallon of paint in the garage. But should you hold onto a can that's only half-full? And will it spoil if you leave it in storage? Here's how to know if you should crack open that can or if you'll have to make another trip to the store. Q: We stored some leftover paint from our living room remodel a few years ago, and now our toddler has decided to use one of our living room walls to showcase his art skills in permanent marker. We’d like to roll a fresh coat over that wall, but is that old paint still good? How long does paint last? A: It might be OK. There’s not quite a hard-and-fast rule for how long paint actually lasts, but you can figure out if it’s time to throw it away based on a few important clues. Depending on whether or not the can was opened, where you stored it, and what kind of paint it is, you may still be able to use it. If it’s unopened, it’s probably still usable. Unopened cans of paint last for years when stored correctly. Unused latex and water-based acrylic paints last up to 10 years, and the shelf life of alkyd and oil-based can be as long as 15 years. 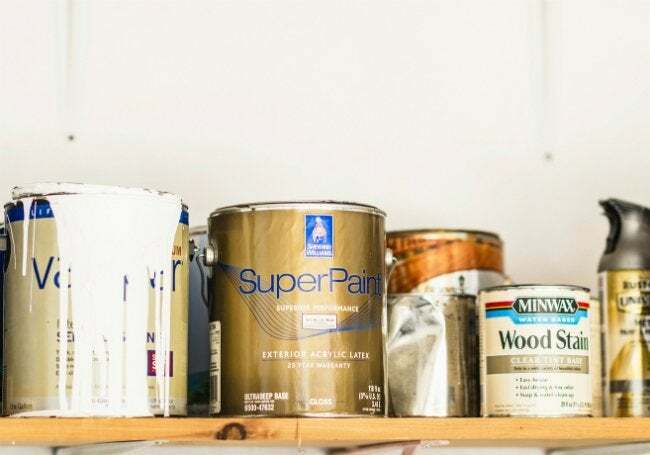 Since unopened paint hasn’t spent much time exposed to air, it still has the same ratio of liquids and semi-solids, although the ingredients have probably separated over time. But if you stored the can in the garage or shed where it froze or was exposed to extreme heat, even fully sealed contents could be ruined. Test it to make sure. Pry open the can and blend the contents thoroughly with a paint stirrer. This can take five minutes or more, so don’t rush it. Dip a brush in the paint and brush it onto a piece of cardboard. If the paint goes on smooth, you’re in luck! Go ahead and roll that wall. If it contains grainy lumps that you can’t stir out, exposure to extreme temperatures have probably changed the paint’s chemical makeup beyond salvaging. Even if it’s opened, there’s still hope. 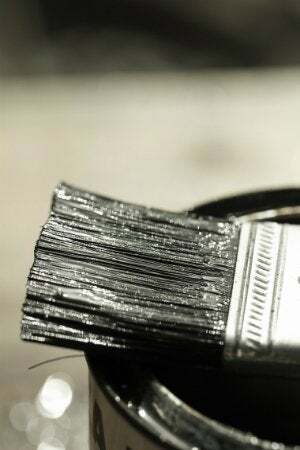 Because opened cans of paint are exposed to air, they often develop a thickened skin on the top that should be removed with a paint stick before attempting to stir the paint left in the can. If the remaining paint blends smoothly, it’s good to use in your next paint job. Look for lumps. Like unopened cans of paint, opened cans can also suffer from exposure to temperature extremes. The difference? Lumps in a partially used can don’t always mean that the paint is unusable. A few in a gallon that’s otherwise smooth may indicae that some of the thickened skin on the paint was stirred into the good paint underneath. Before using the paint, pour it through a paint strainer (available at paint stores for a couple of bucks) to remove the lumps and proceed as planned. Take a whiff. A foul or rancid smell, or the presence of mold in the can, means bacteria has contaminated the paint—it’s time to throw it away. Dispose of spoiled paint in accordance with your local toxic waste disposal ordinances. Store paint the right way to extend its shelf life. Paint is expensive, and it can be tough to match custom colors years later. Whether you want to save a partial can of paint for touchups or you ordered too much and have a few untouched gallons on your hands, you’ll get the best shelf life possible if you store paint indoors, preferably away from extreme temperatures and sunlight. To store a half-empty can and make the paint last, place a piece of plastic wrap over the top and then use a tap the lid back into place with a hammer. While you’re at it, mark the date and color name in marker on the side for easy future reference.